How childish belief masquerades as folk wisdom and warps our politics. In a previous column, I described how the Republican Party’s Bad Ideas-Industrial Complex churns out an endless stream of pernicious policy ideas. But that invites a question: how did these ideas get so much traction among ordinary Americans who are being harmed by them? 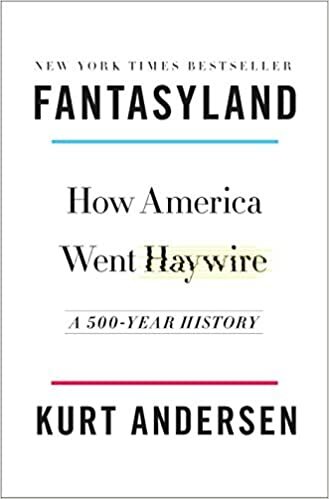 As Kurt Andersen exhaustively describes in his book Fantasyland: How America Went Haywire, America has always been fertile soil for silly or crank beliefs. I remember some of them from the halcyon days of the 1950s. Quite a few people didn’t believe in the efficacy of seatbelts in automobiles. I recall more than one person pontificating that it would be safer to be “thrown clear of the wreck.” What, through the windshield? Another bit of wisdom was high school coaches sternly lecturing their football players not to drink water (it would make you sick) during strenuous practice on a hot August afternoon. I have no idea how many youths died of heat exhaustion aggravated by dehydration. Movies invariably showed badly injured soldiers getting immediate first aid in the form of someone sticking a lit cigarette in their kisser. Just the thing for a sucking chest wound! Back then, doctors knew that Camels were good for your T-Zone. Such beliefs have always existed; the difference was that for most of our history, the credulous were not as organized and regimented as they now are by Fox News. When business interests exploited ignorance, it certainly could be dangerous, as was the case with tobacco and the imbecile fad of x-raying feet at the shoe store. But it was socially dispersed, random, and had less systemic effect on the operation of our political system. In the three decades since the demise of the Fairness Doctrine, intellectual laziness and foolish beliefs have carefully been exploited to promote a political agenda. What once were the foibles, crank notions, and misinformation of disconnected individuals now have been ideologically weaponized in a way that has become a danger to the preservation of self-government. Some of the more common delusions follow. I’m protest voting to send a message. Yes, and the message you send is that you’re too dumb to understand the consequences of your acts. Recently I met a fellow who told me that the first ballot he had ever cast was in the momentous 1968 Nixon-Humphrey-Wallace presidential race. He voted for comedian Pat Paulsen’s joke campaign in a squeaker of a contest that Nixon barely won. In 2016, he voted third party, and in the elections in between, voted for everybody from Ralph Nader to Pat Buchanan. Yet he wondered how a guy like Trump could become president. The classic tough guy line from people who’ve had it up to here with the mess in Washington. 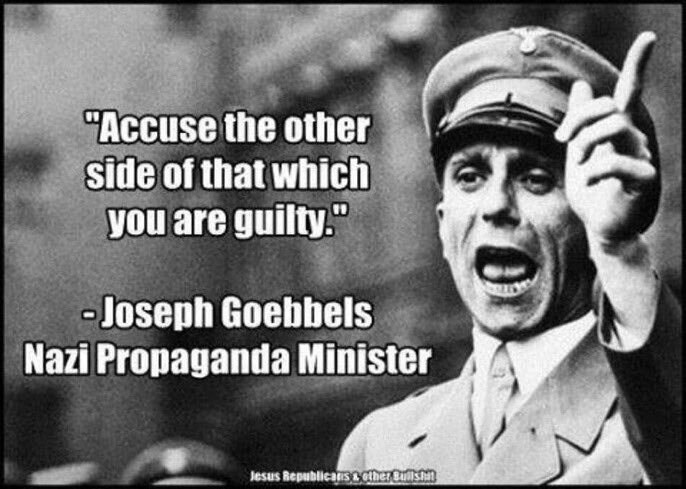 Many Trump voters used this rationale. I wonder if these people ever tried quieting a crying infant by violently shaking it, the legal term for which is child abuse? When going under the knife for some life-threatening condition, would they be cheered up by a surgeon with no visible credentials declaring he wants to shake things up in the patient’s body? Democracy and civilization itself are inherently fragile things; ultimately, one could make the case that life on this planet is fragile, as events like the Permian extinction and the Chicxulub asteroid impact have demonstrated. Shaking should be confined to a martini and its remedy, a bottle of Pepto-Bismol. Vote the ins out and the outs in. Commonly called “throw the bums out!” this means reflexively voting whoever is in office out and whoever is out of office in. This trope is often used by ill-informed people who like to pose as cynical realists practicing a checks-and-balances theory on the rogues in politics. It would also mean that if you lived in Germany in 1932 and the Center Party was in power you would feel bound in principle to vote for the Nazis. In American practice, this theory generally leads to a frustrating cyclical gridlock causing people to give up on the balance-of-power entirely, roll the dice, and vote for the most dangerous demagogue on offer. Why doesn’t government have to balance its budget just like families do? This cliché usually involves Mom and Pop sitting at the kitchen table and getting their priorities straight. Never mind that the majority of Americans either have a mortgage, are mired in increasing credit card debt, or are struggling to pay off gargantuan student loan debt – sometimes all three at once. And forget for the moment that Mom and Pop aren’t sovereign issuers of fiat currency. How many people allocate in their personal budgets for such items as national defense, medical research, space exploration, and foreign embassies? Or incarcerating criminals? We need common sense solutions. What is the common sense solution for stem cell research, disposing of atomic waste, sending humans to Mars, or cybersecurity? Perhaps that’s why Newt Gingrich abolished Congress’s Office of Technology Assessment in 1995: without a bunch of naysaying eggheads, he and his colleagues could pursue fatuous policymaking unchallenged. In practice, a dumbed-down common sense means attacking public education, arts and humanities, academics – and, ultimately, undermining empirically-based thinking itself. Einstein is supposed to have said that “common sense is nothing more than a deposit of prejudices laid down in the mind before age eighteen.” Come to think of it, are his general and special theories of relativity obvious common sense? I voted for X because he’s likeable/I voted against Y because she’s not likeable. Does it occur to people that they’re not choosing a college dorm mate? They’re choosing someone to legislate or administer policy. Like many other platitudes, this is a frequent media narrative amplifying an existing prejudice in popular psychology that presumably originated in selecting high school class presidents. It reached a crescendo in 2000 with the storyline about how, unlike the pompous bore Al Gore, George Bush was a guy you could have a beer with. No one mentioned that Bush was an alcoholic who had to quit drinking. He had been a belligerent drunk, the last person anyone would want a friendly beer with – a fact that rendered the media’s “just so” character study absurd. Now Politico, the Beltway’s TMZ, is road-testing the unlikability meme with Elizabeth Warren’s candidacy. Journalists don’t think consumer protection or financial fraud are subjects that citizens need to worry their little heads about compared to Warren’s purported lack of barroom bonhomie. One should not fall into the trap of thinking that swallowing such nonsense is confined to gullible rubes who listen to Rush Limbaugh three hours a day. Remember Colin Powell’s WMD speech at the United Nations? It was a farrago of circular reasoning, faked evidence, demonization, and artists’ imaginative renderings substituting for actual proof. It was a performance about which Powell later expressed some regret. But – for the most part – the highly educated people on the editorial boards swooned, pronouncing it the finest oration since Lincoln visited Gettysburg. Liberals often tut-tut about “ignorance,” meaning obliviousness to facts. It is certainly that, but it is also something more deeply troubling and less amenable to correction: a systematic corruption of the power of reason and a renunciation of critical and analytical thinking. There is no need to belabor the point about which interests in our society benefit from this intellectual deformation.